Knowledge is power. The Bridge is committed to increasing the knowledge about the dangers of substance abuse, especially opioids. The target population is adolescents. This is the time in life when youth are given more freedom and are more vulnerable to temptations, as they often have less structure and support around them. The Bridge wants to arm them with the facts and give them the tools they need to prevent addiction. However, raising awareness is necessary amongst all age groups. They are interested in opportunities to speak to any audience, i.e. civic clubs, churches, pastors, teachers, etc. When a person of any age realizes that he/she has an addiction, and is ready to seek help, The Bridge utilizes Mr. Steve Morgan, who is well-equipped to assist with placement. Treatment may take the form of in-patient for detox and rehabilitation, intensive out-patient treatment, and/or out-patient treatment, depending upon his/her needs. Sometimes people realize they are headed toward addiction and are able to make the decision to change directions before they reach the place of needing medical detox. In these cases, participation in a group such as Celebrate Recovery or Alcoholics/Narcotics Anonymous has proven to be extremely helpful. In other cases, people may find they need these sources following discharge from in-patient treatment. In either case, Mr. Steve Morgan can help connect each person with the appropriate group. 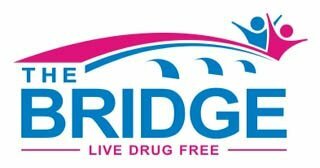 The Bridge Project Fund allows donors to join with many others to support The Bridge’s efforts to protect our young people from substance abuse while receiving the benefit of a tax-deduction. For more information check out The Bridge website. Donations are made by simply writing a check to the Foundation designated to the Fund or online.